Madai jigging and inchiku jigging is getting popular in our waters due to new Japanese concepts that local Singapore is getting crazy on. The fish are responding well to Madai jigging as it is probably something they have never seen before. Madai jigging in Singapore works by drop shotting the 'octopus-like' jig straight into the coral reef system and work the jig by bouncing it at the bottom. 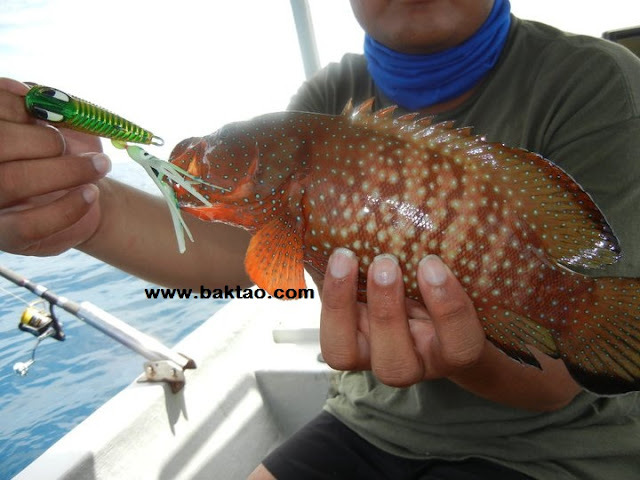 As a result, many bottom fishes like the grouper and curious parrotfish or wrasse get hooked up. Madai jigging is effective because we can target the coral reef extensively and have less chance of snagging or getting stuck. 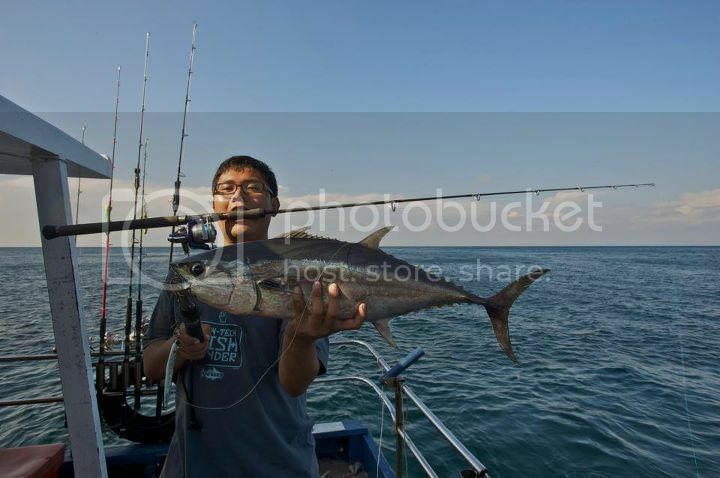 Inchiku is also another type of jigging that is new and involves the use of a rubber skirt attached to a metal body. You can adjust where you clip your swivel to or attach the rubber skirt to different areas of the inchiku.... How i work it is that i cast it out and let it sink to the bottom of the reef. I work it by bouncing it off the bottom and reeling back. 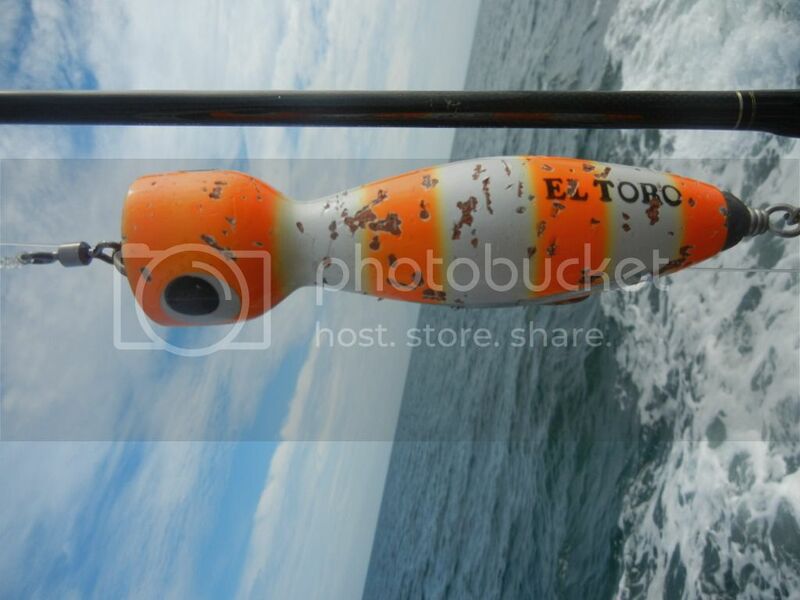 I work it alot like eging for squid. It will attract fish on the drop and you can pause on the seabed if you want to attract fish but it will result in more snag. 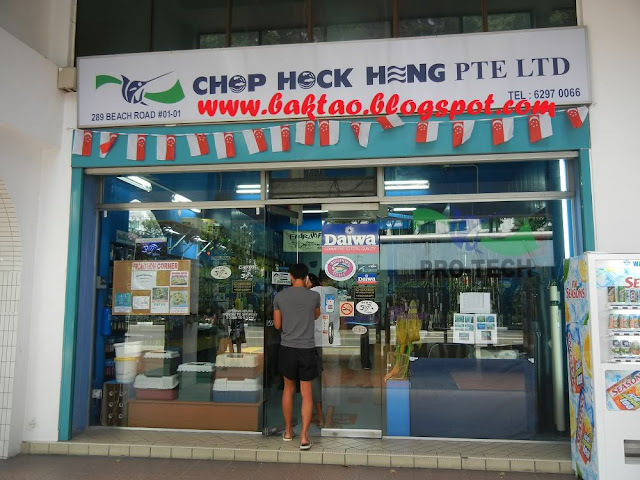 Hi guys, I just read from Alan's blog that Chop Hock Heng fishing tackle shop will be closing down by the end of March 2012. They will be closing retail operations. Chop Hock Heng are one of the oldest tackle shops in Singapore and it joins five dots in closing down. 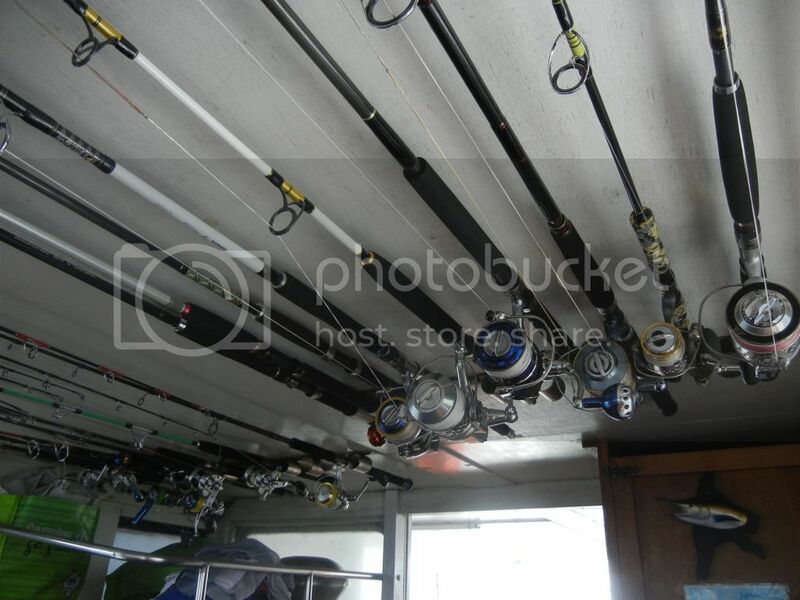 The stretch of tackleshops at Beach road is now never the same that Sabre Tackle and Chop Hock Heng are gone. So go down and grab the house brands of Chop Hock Heng before the retail shop cloes. Hunch is that other tackle shops will be grabbing existing stocks of these jigs like white rabbit, protech and they will probably be selling them at a more expensive price! Btw, there is no indication that there will be any closing down sales so don't bet on it! I'm finally blogging about this trip after a few months. I'm not putting hopes on receiving the rest of the pictures anymore so i'll just blog with what i have. This is my virgin 'Popping for GT' trip and well what else can i say except i was DAMN EXCITED. 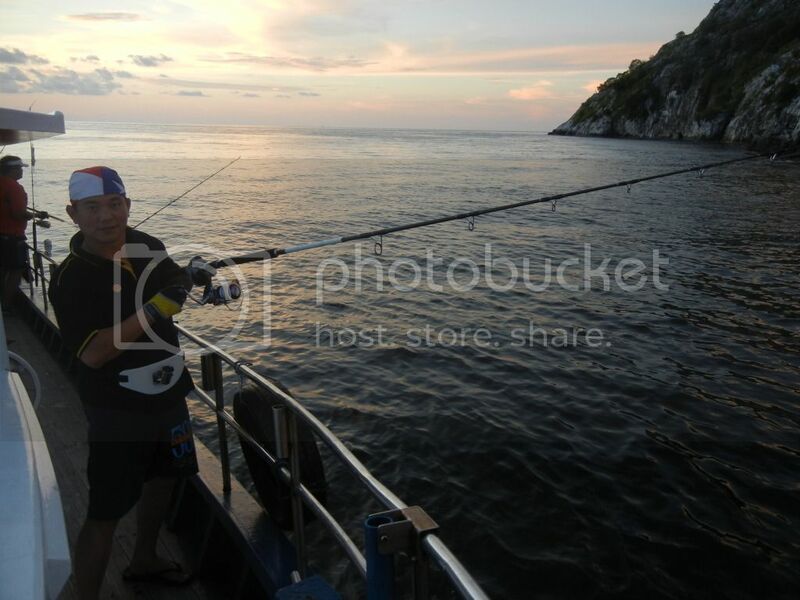 Clarence was organising this trip and he was the solid kaki as usual, loaning me his reel and rods so i can try popping. He warned me that it's best to try first and get my own set afterwards. 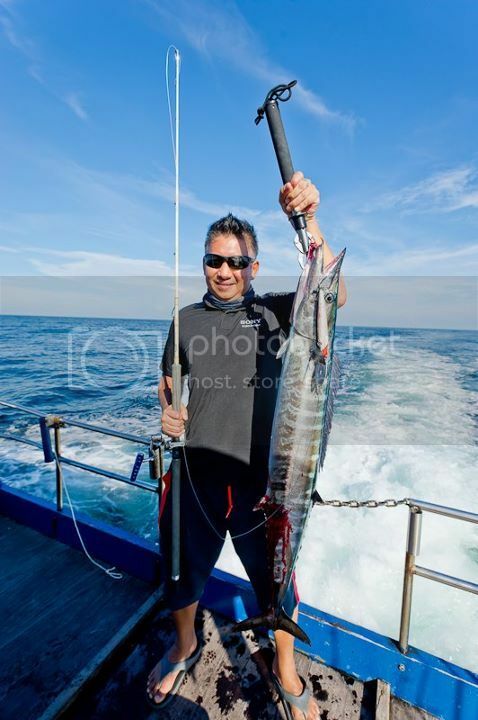 Well, the start of the trip was very optimistic, we hit a good sized Wahoo on rapala magnum 14 red head. 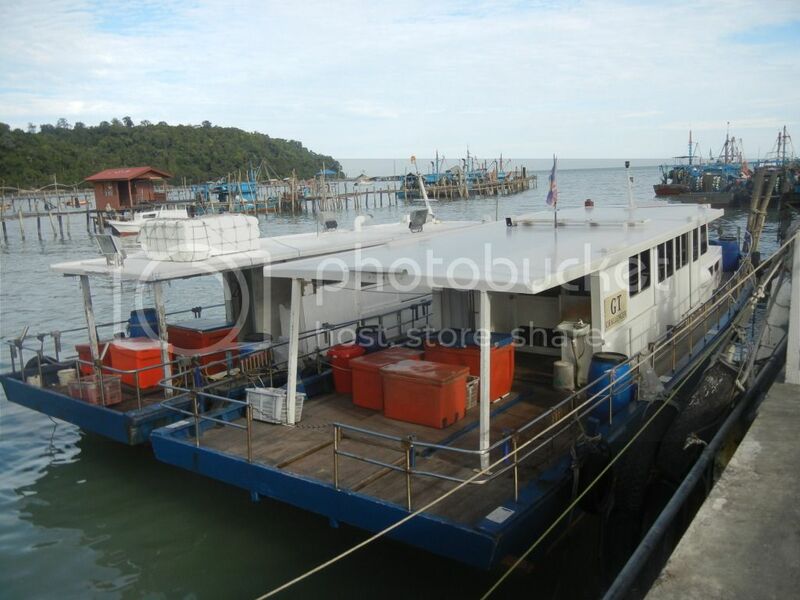 Calm weather was present when we approached Tukun Perak. On the first cast, a GT was lost on Popper and it was all silent. But action soon picked up with Jamie hitting GT on jig, Dorado being landed, and a GT of 16kg being landed.... Action died down after the current went off and after that the strong winds picked up and we were forced to hide behind the Island. 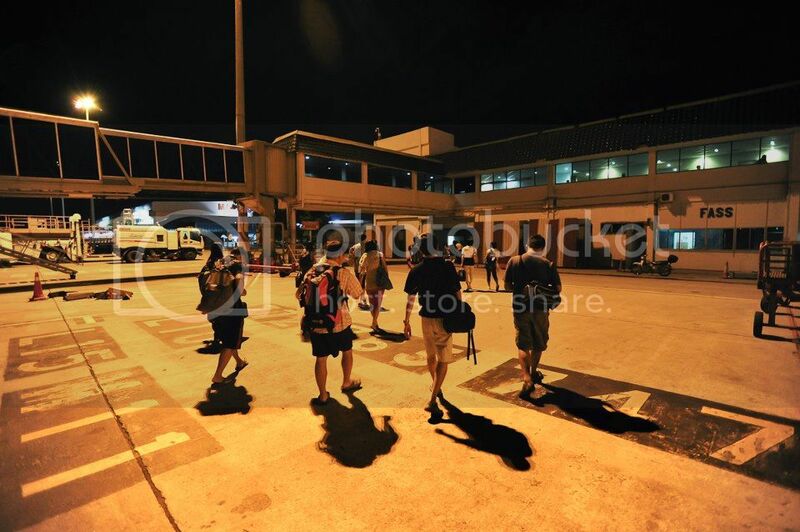 Later when we got back, we heard that a Typhoon had picked up in Sumatra and that was the reason for the Typhoon. The next few days were hanging around at the Island and we couldn't move anywhere due to the strong winds. Sigh.... but there were periods of time when the current wasn't so strong and i was playing a light jig of 100g. Boy it was fun when you know what speed the fish wants the jig played at and what jigs to use! 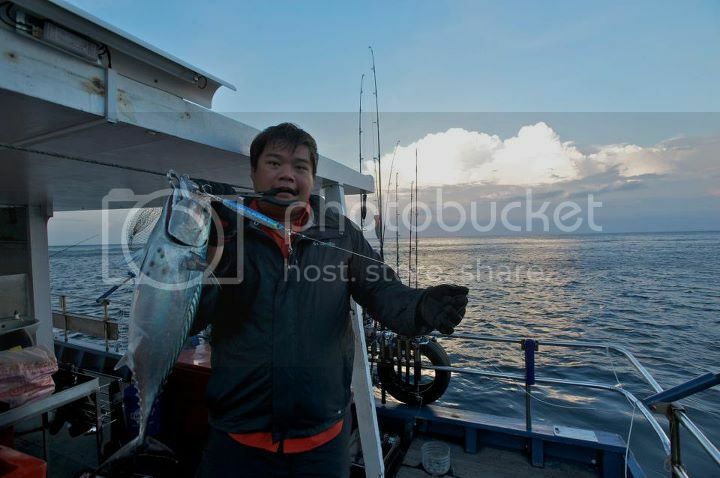 I landed a 9lbs Big Eyed Tuna (Not Skipjack!) on 100g Whiterabbit MJ 3000 on a PE 1-3 light tackle! 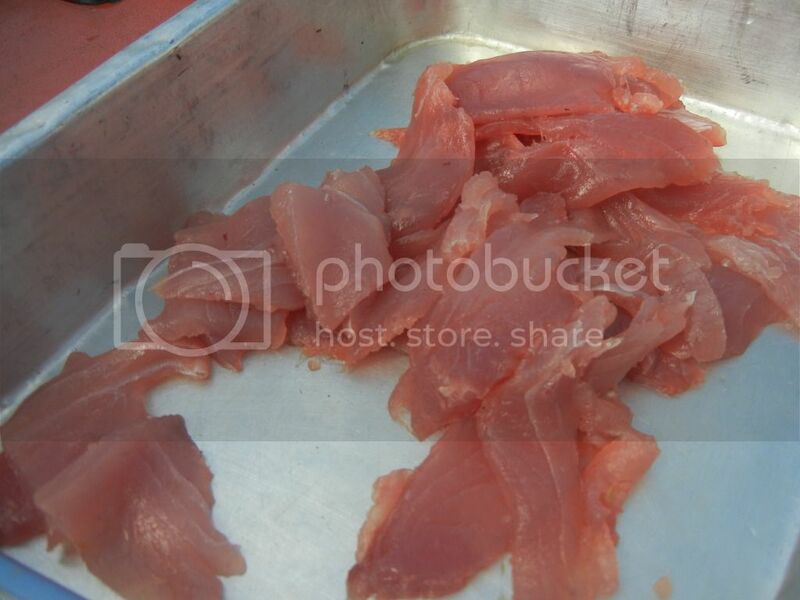 This was apparently sashimi grade tuna and later ended up being sliced and diced and eaten! The MJ 3000 and MJ 5000 was very effective. I hit a big Wahoo on the jigs with light tackle but later on failed to land it because the leader got cut off at boatside. Also managed to get stripped and cut off by unknown fishes. I got cut off by one which Jamie later landed! It was a great barracuda. My Varivas Casting PE blue line was stil in it's mouth! Amazing stuff! Anyway, that's almost everything i guess. The deckie landed a 20lbs orange spotted gao tun or giant grouper when we stopped by to jig for baitfish.... he landed it with a 200g flat jig. Good stuff i guess. 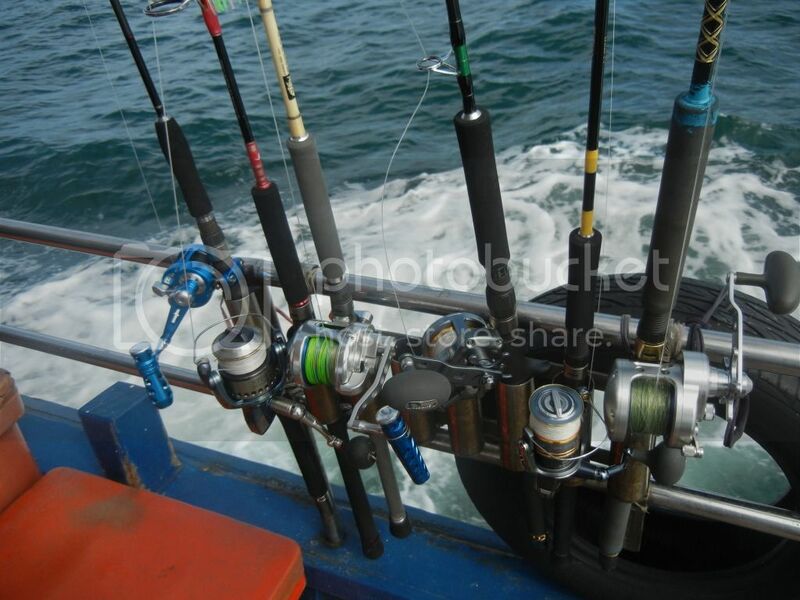 We also landed a good amount of ang cho or golden snapper at night on mantis prawns lol sorry no pictures. 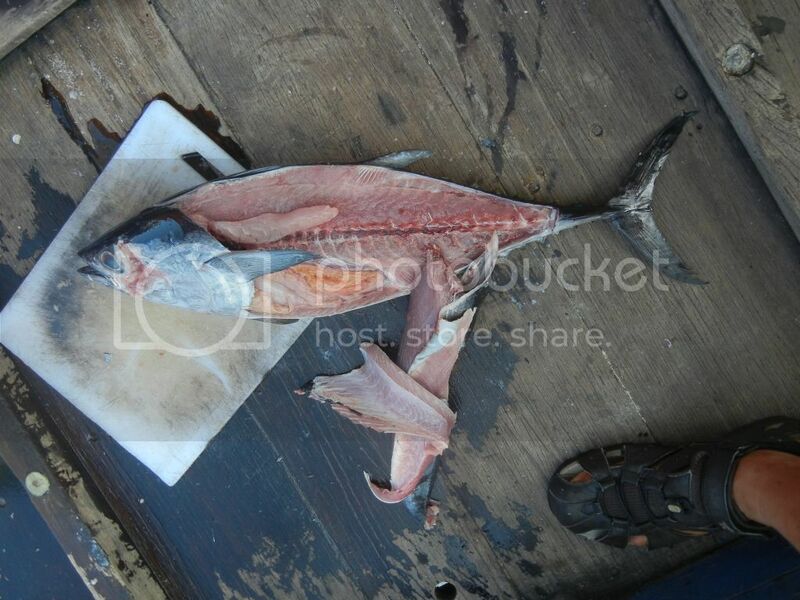 But they are around 4kg size around 10pcs landed. Gao tun on jig. Tom posed. 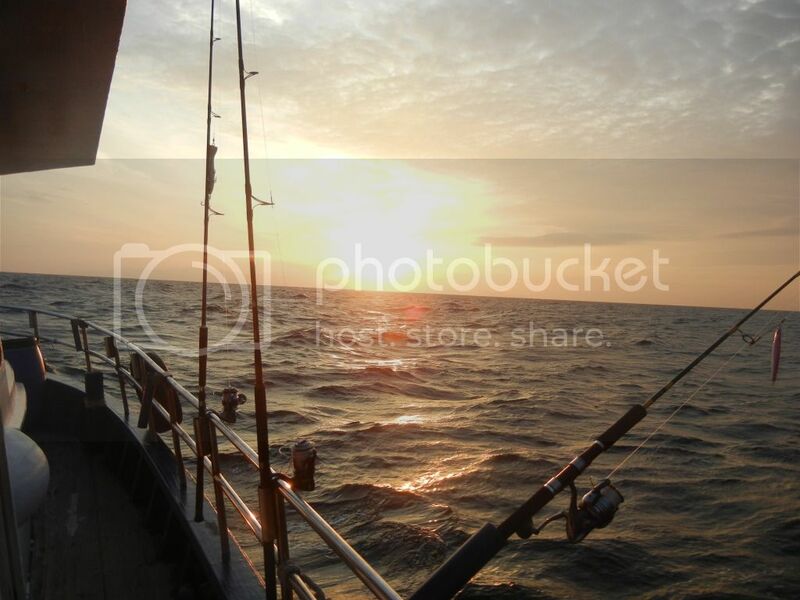 The weather was really bad and usually this means the sea will be full of active catfish... Yes we were right.... Catfish small and big were brought up. Tide was going down and water was good for jigging some baitfish so i jigged a few baitfish up which looked like some selar papan. Hooked one with a paternoster rig and dropped it directly below the stilts at the middle of the farm... 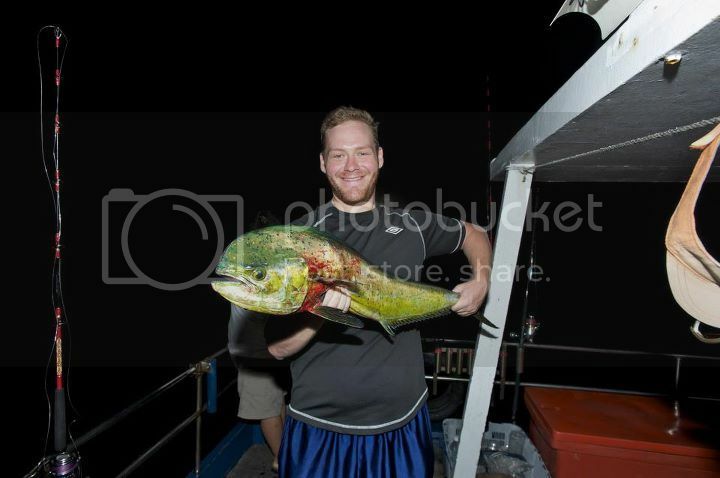 This was to target groupers and snappers. 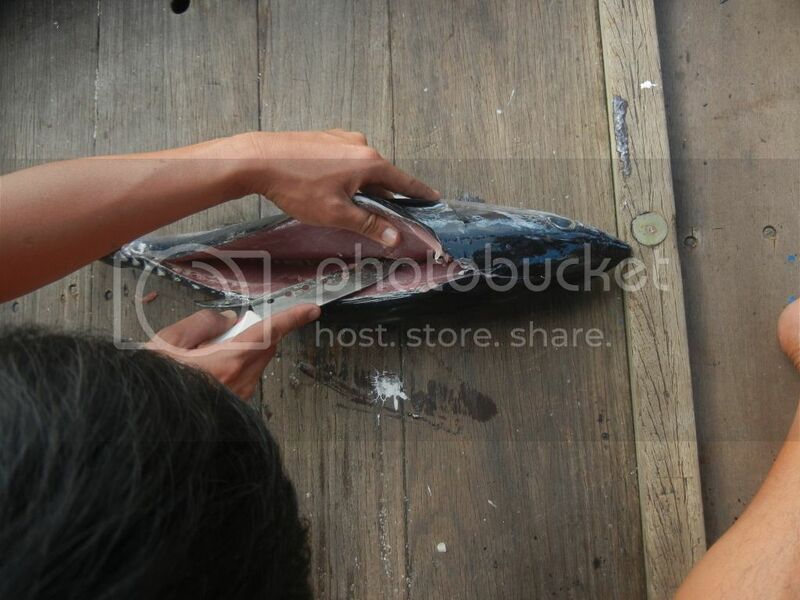 My uncle and his friends were casting away from the kelong targetting the stingrays, catfish, chermin etc. 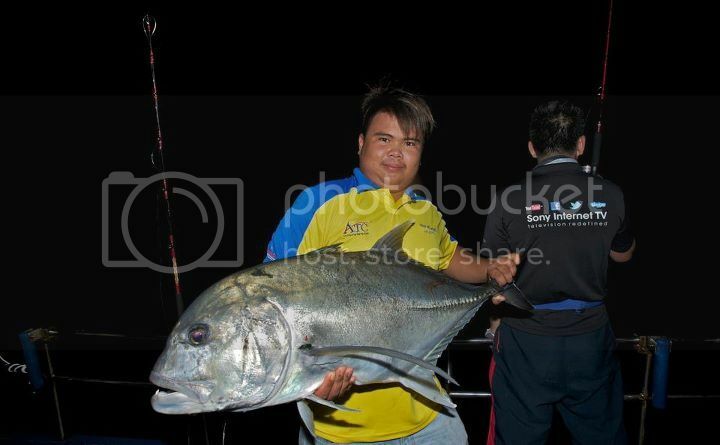 According to my uncle he got a very big hit last week and couldn't bring the fish up. All of them were aiming a rocky area which was some distance from the kelong. 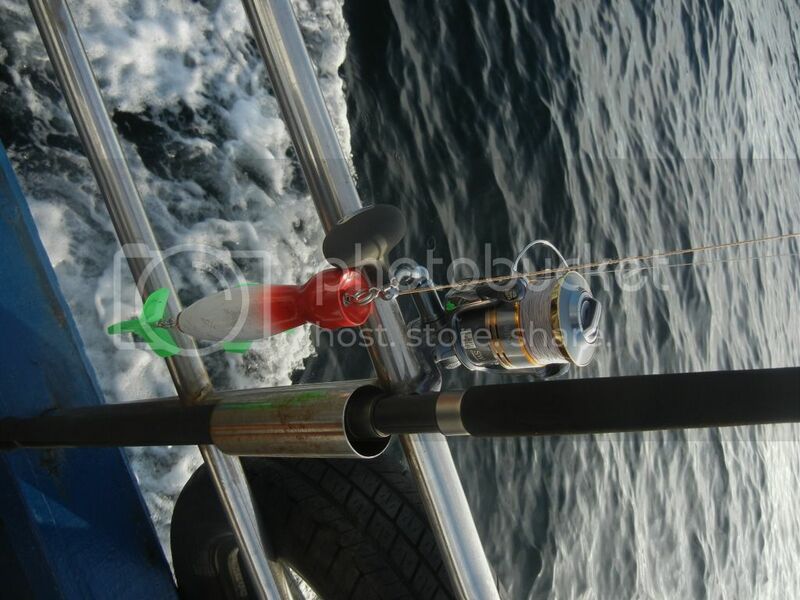 I was dozing off when they were shouting to me saying my rod has bent all the way lol.... 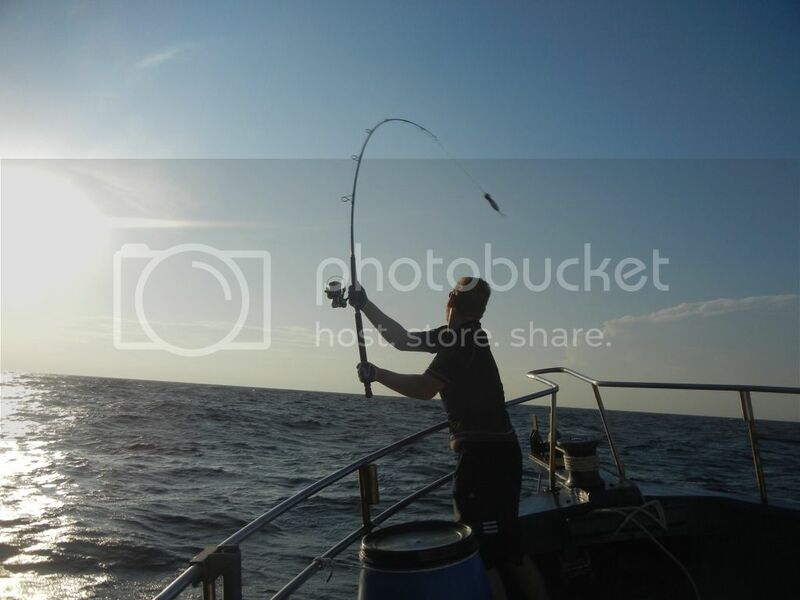 I got to my rod and gave a strike and yes there was a fish on....only thing was it got stuck at the stilts...oh no... 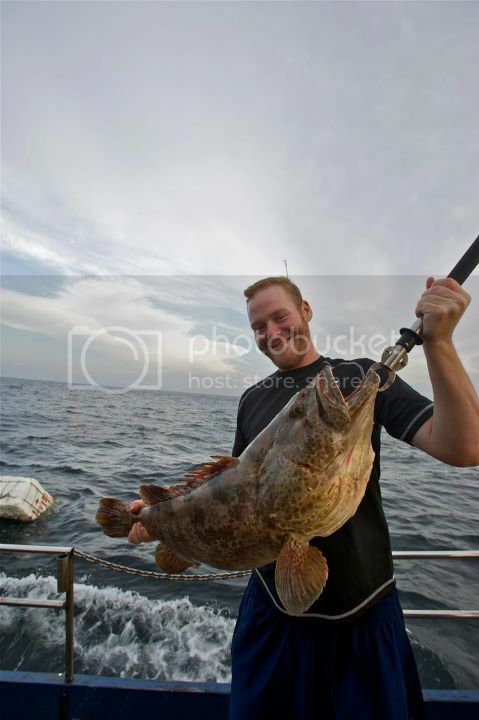 It must be the grouper for sure... made a big round and pull the line from the other side. Yes it got out! 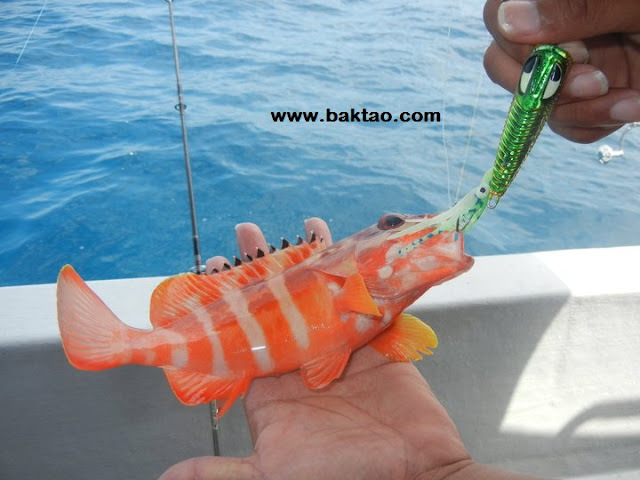 But.... a Golden Snapper aka Ang Cho came up! Whoa!!! Dear sir, some food please?